A-1 Appliance is a family owned and operated business that has over 35 years factory trained experience servicing all brands of all major home appliances. We specialize in all kitchen and laundry appliances as well as air conditioning. We are familiar with all the new high tech appliances, as we are constantly attending continuing education seminars for all the latest products. A1 Appliance owns and operates our fully stocked trucks of many parts for all your appliances. 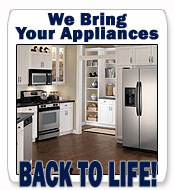 Our goal is to repair every appliance upon on our first visit to save you both time and money. 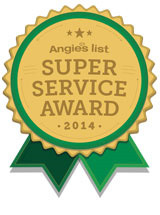 Our technicians are very clean, extremely courteous and most of all efficient. When your refrigerator, stove, dishwasher, microwave, washer, dryer or air conditioner brakes down or doesn't operate properly, do not throw that valuable appliance away, just pick up the phone and call A1 Appliance today. We will bring them back to life!